We offer captivating, high-quality multi-color, PMS match, and high volume black and white printing available on a variety of colors and weights of paper. We will help you produce captivating custom envelopes to enhance all of your marketing efforts. We offer standard and perfected print services on a variety of envelope sizes and materials. 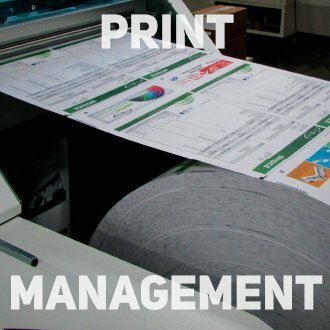 We offer high-quality full color variable data printing, allowing images and text to be personalized for each piece printed. We are able to print on a wide variety of paper weights and other substrates. Our full color, duplexed, variable data inkjet presses offer fast quality printing, capable of printing different images and text on each individual page. Proficient with large run orders while having the versatility for small lots to be printed with short lead times. We can help our customers captivate their audience by adding addresses, codes, cancellations, endorsements, and tabs (wafer seal) to pieces with our inkjet technology. We offer a wide variety of finishing services to captivate your target audience, which include: perfect binding, padding, drilling/hole punching, stapling, saddle stitching, perfing, cutting, scoring and folding. We can also affix various cards or magnets using our pick and place glue machine.